Stylish lunch tote bags for women that can be personalized. Take your lunch sandwich and fruit to work in a fashionable bag. Trendy new insulated lunch tote bags with tassel. Pack them into a trendy cooler bag that will keep them fresh and show off your sense of style at the same time. This fun cooler bag sports an eye-catching tassel in your choice of colors. Compact and lightweight to easily carry inside of your work, travel or play carry-all tote.. The perfect accessory to perk up your work day! 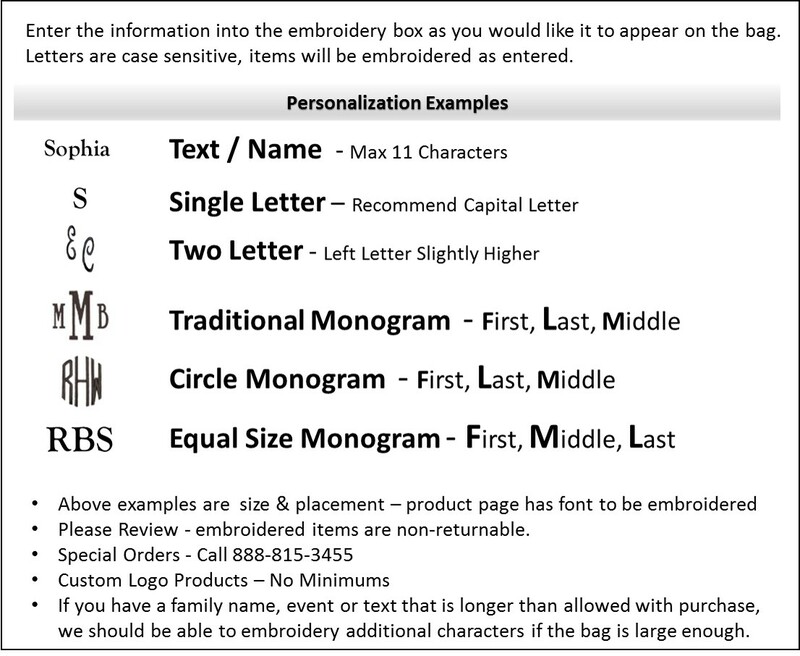 Includes embroidered monogram or initial with purchase. 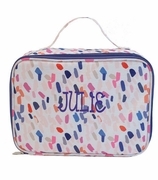 Personalized lunch tote measures 7”H x 12”W x 5 inches across the bottom. Zipper closure with outside front open pocket for a health bar, ID, or keys.